The Chargers’ courtship of Chula Vista as the site for a new football stadium has ended quietly, 3 1/2 years after it began. With a note. 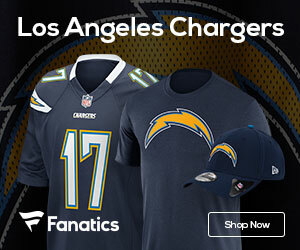 Chargers special counsel Mark Fabiani posted a message on the team’s Web site Wednesday saying its Chula Vista efforts are on hold because of long-known complications involving a power plant on the 130-acre bayfront site under consideration. Chula Vista now joins National City and Oceanside as cities that the Chargers have considered for a new home – and rejected. The team is looking at Oceanside again, but at a site near an airport that could pose insurmountable problems. After so much fruitless study, it seems unlikely that interest would be rekindled in Chula Vista, but the Chargers left open the possibility. They should just move to LA, I’m a chargers fan living in LA and it will be cool if the chargers move here. Move the Chargers up North! contrary to popular belief , there are many Charger fans all throughout SOCAL , from TJ to Ventura!. I live in AZ for now but when I go back to Glendale,CA in a couple years. Itll be so cool to have our new house in city of Industry!